The Filament app pairs perfectly with the Filament Bible, and it is unlike anything else you’ve ever experienced. 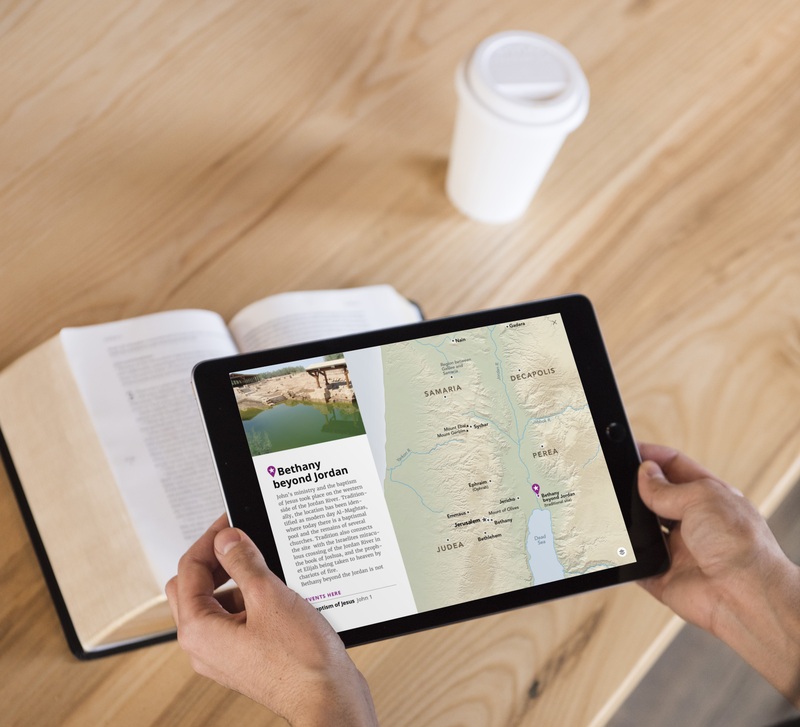 The Filament app has a depth of resources that you simply can’t find in any print Bible, and it has the kind of seamless connection to a print Bible that no other app or Bible software can offer. When you are reading your Bible and want to go deeper, simply pull out your phone or tablet, and use your device’s camera to recognize the page you are reading from. Just like that, you have access to study notes, people profiles, devotionals, theme articles, interactive maps, videos, and more. The Filament app has been designed to scan the page numbers of the Filament Bible without the use of a QR code or any other sort of interruptive sequence of lines or dots. This patent-pending technology is exclusive to the Filament Bible, and it really is as easy as getting the page number aligned inside a box on your screen. Once you are connected, three content windows will show up: Study, Reflect, and See. Each one of these contains curated content just for the page you have scanned. The Study window contains everything you would expect to find in an excellent study Bible: book introductions, study notes, in-depth articles on key topics, and profiles of key people from the Bible. Filament goes beyond what any print study Bible can offer, however. People profiles are not limited to being in one place, so you will find the profile for Abraham wherever he shows up in the text of Scripture. The Reflect window is less about in-depth study and more about connecting the ideas of the Bible to your everyday life. 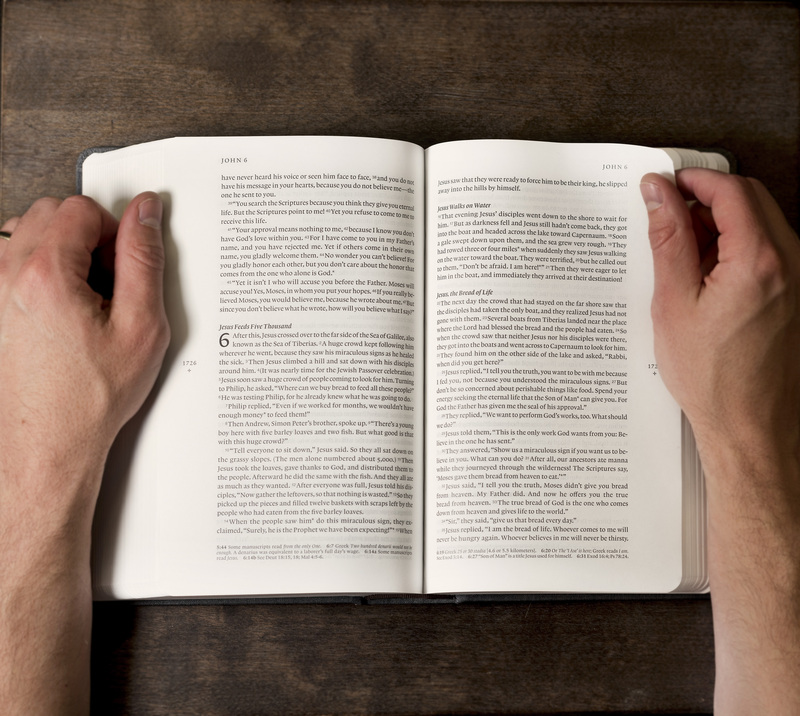 Here you’ll find devotional articles and thoughts that are curated from some of Tyndale’s favorite resources, connected to the page you are reading in your Bible. The See window is where you’ll find all things visual. Interactive maps and visuals allow you to zoom in or out and tap key locations to learn more and see photos of the sites. Videos that are relevant to the page you are reading are provided by The Bible Project, a non-profit animation studio whose mission is to make the biblical story accessible to everyone, everywhere. We are proud to include them in Filament free of charge in keeping with their mission. Is Filament the Instant Pot of Bibles?